You may have decorated your room with those amazing Super Mario wall decals. 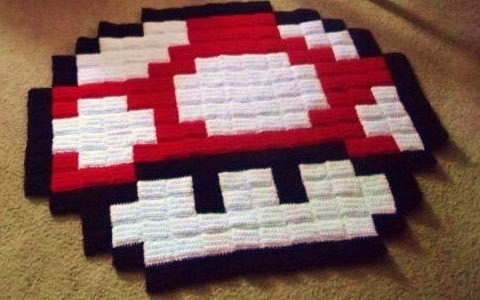 But if you feel not enough, the following pixelated Super Mario Mushroom rug should be able to catch your eyes. This is an exquisite, 8-bit rug inspired by the classic video game series Super Mario, and handmade by Harmonden living in Detroit. As we can see from the images, the rug features an iconic Super Mushroom design in pixelated style originated from the mushroom kingdom, and comes with subtle details and perfect color scheme. 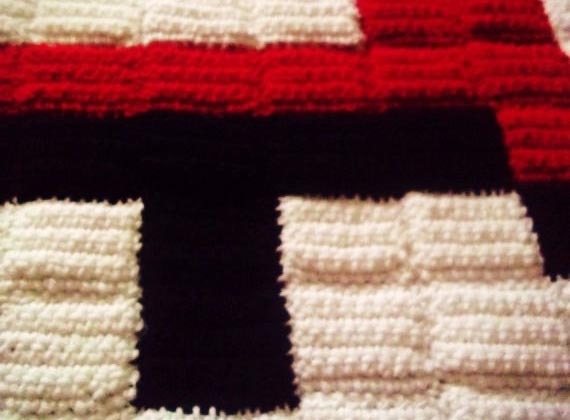 The mushroom is made of small crochet squares sewn together to create a unique, rough and tough piece. The 8-bit Super Mushroom measures approx 31 x 37 inches so you can arrange it on the ground as a rug or hang the mushroom on the wall as a wall hanging. Anyway, it’s an awesome way to show your love to the classic video game series. 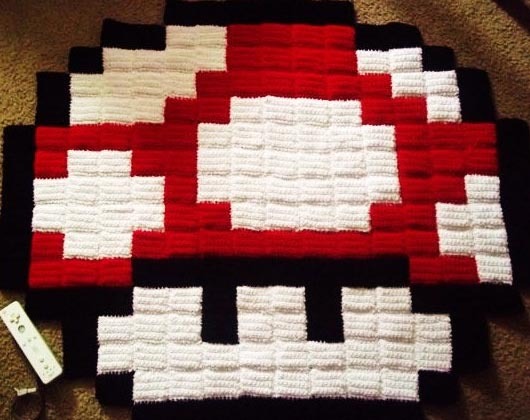 The handmade pixelated Super Mario Mushroom rug is priced at $45 USD. If you’re interested, jump to Etsy for more details. Additionally, if you need other Super Mario inspired gadgets, you might like to check the Super Mario themed lamp and more via “Super Mario” tag.